yesterday was the last day of LASALLE show 2013, this pedestal that i painted was the pedestal throughout the show that was used to display my work. Though i have not graduated since i have one more year to getting my degree but seeing my work in the show as a diploma student once again (i graduated from NAFA visual com diploma in 2011) makes me feel happy and lost at the same time. 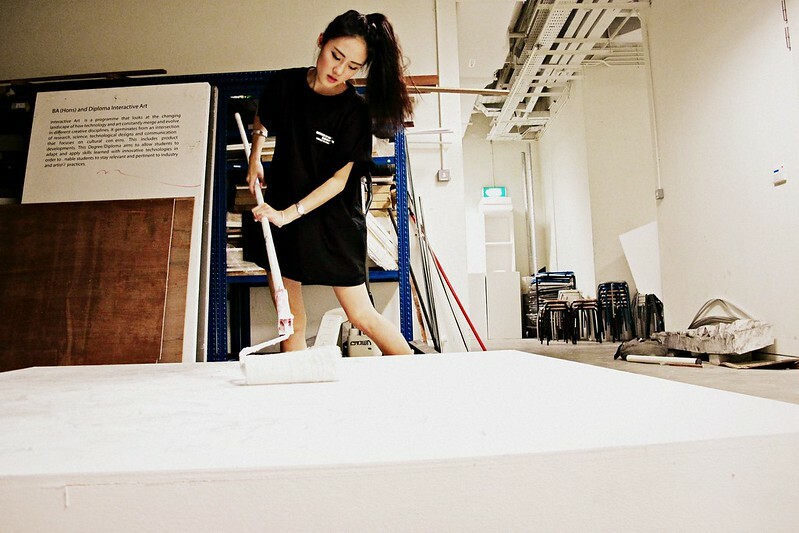 I remember not knowing what to do after i graduated from NAFA and it struck me that i'd probably end up in the same situation in a year's time when i get my degree. I love art, i love drawing, i love sewing, i love being in the orchestra but i really have no idea what to do with all these passions :?